4 Paws Tech, manufacturers of an innovative line of LED and reflective technologies, will donate one of its products for every dog adopted at the Shelter Connection. 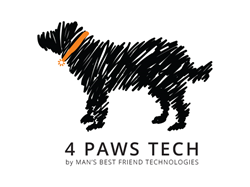 4 Paws Tech, a division of Man’s Best Friend Technologies, will donate one of the products in its line of reflective collars, leashes and harnesses for each dog adopted from the Shelter Connection at the Town of North Hempstead Animal Shelter. Len Horowitz, the company’s founder, said he is excited about the upcoming animal shelter charity partnership. The adoption of a dog is the greatest gift one can give themselves and the needy dog. The pairing of a dog to a human creates a bond that lasts forever and brings joy, companionship and unconditional love. “By adopting a dog, we save them and ourselves,” Horowitz said. 4 Paws Tech’s number one goal is keeping our four-legged family members safe. That is why every dog adopted at the Shelter Connection at TNHAS will go home with a reflective leash, collar or harness to help keep them safe and visible on their many adventures in the great outdoors. “We will pair one of our products with an adopted dog throughout 2016,” Horowitz added. About 4 Paws Tech: Len Horowitz, founder of 4 Paws Tech, started this company to reduce the millions of dogs senselessly killed in car accidents each year. The company’s aim is to protect our four-legged friends and family simply by making them more visible, especially at night. 4 Paws Tech is forming partnerships with several worthy organizations that help better the lives of abandoned and abused animals, because the company believes that those who cannot speak for themselves should have a champion to do so for them. About the Shelter Connection: Founded in 2000, the Shelter Connection is an all-volunteer organization at the Town of North Hempstead Animal Shelter in Port Washington, NY. Volunteers are professionally trained as adoption advisors and dog handlers, and fundraising efforts support many shelter improvement programs. The shelter hopes to improve the quality of the life for homeless dogs by increasing adoptions through training and socialization and through educational outreach, teaching the public that shelter dogs are not "damaged goods."